Automatic Rescue/Parachute Knife by Colonial Knife Company. 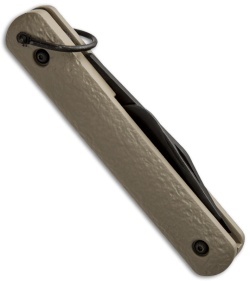 The M-724 features a rescue hook and an automatic blade with a plain edge. It is made for use in emergency survival conditions. The M-724 consists of a hook belt cutter blade on one end and an automatic blade on the other end. The partially serrated blade is opened by a release button and held in place with a slide lock while the rescue hook has a nail nick for opening. The steel is 1095 HC and the handle is black ISOPLAST with sliding safety and bail loop. 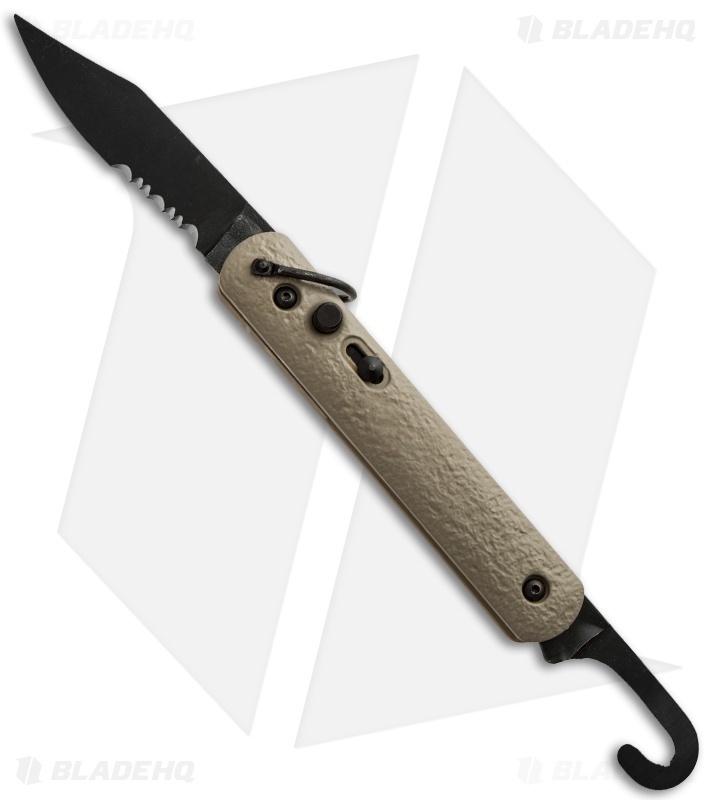 This is the Military's current issue paratrooper jump knife.